Nobel Prize winning physicists have proven beyond doubt that the physical world is one large sea of energy that flashes into and out of being in milliseconds, over and over again. Nothing is solid. This is the world of Quantum Physics. They have proven that thoughts are what put together and hold together this ever-changing energy field into the ‘objects’ that we see. So why do we see a person instead of a flashing cluster of energy? Think of a movie reel. A movie is a collection of about 24 frames a second. Each frame is separated by a gap. However, because of the speed at which one frame replaces another, our eyes get cheated into thinking that we see a continuous and moving picture. Think of television. A TV tube is simply a tube with heaps of electrons hitting the screen in a certain way, creating the illusion of form and motion. This is what all objects are anyway. You have 5 physical senses (sight, sound, touch, smell, and taste). Each of these senses has a specific spectrum (for example, a dog hears a different range of sound than you do; a snake sees a different spectrum of light than you do; and so on). In other words, your set of senses perceives the sea of energy from a certain limited standpoint and makes up an image from that. It is not complete, nor is it accurate. It is just an interpretation. All of our interpretations are solely based on the ‘internal map’ of reality that we have, and not the real truth. Our ‘map’ is a result of our personal life’s collective experiences. 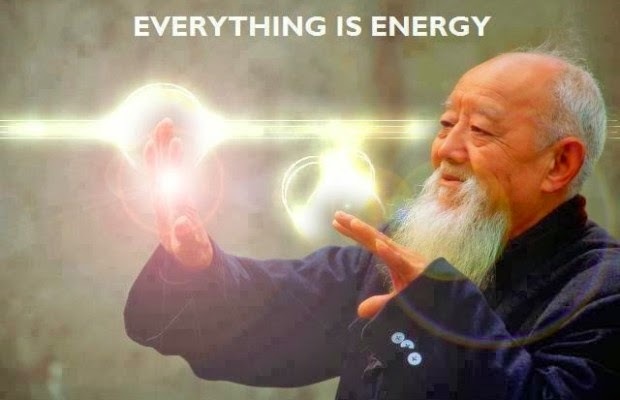 Our thoughts are linked to this invisible energy and they determine what the energy forms. Your thoughts literally shift the universe on a particle-by-particle basis to create your physical life. Look around you.